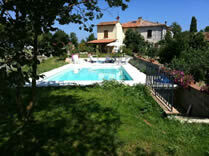 Sleep 8, private pool – holiday villa rentals in Italy. Just some of our holiday rental villas with private pool sleeping 8 people. Search for more villas. Villa Francesca, Montanare (near Cortona), Tuscany / Umbria borders. 3 bedrooms. Sleep 8, private pool. Rental prices from Euro 1130 to Euro 1850 per week. Distance from Montanare with restaurant and mini-market: approx 1 km. Air conditioning on ground floor. Il Poggiolo, Monte san Savino, Tuscany. 4 bedrooms. 2 bathrooms. Sleeps 8. Rental prices from Euro 950 to Euro 1990 per week. Private tennis court and private pool. 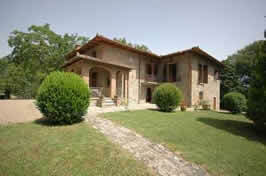 Distance to the village of Monte san Savino with shops and restaurants: 500m. Casale Ambra, Ambra, Tuscany. 4 bedrooms, 2 bathrooms. Sleep 8, private pool. Rental prices from Euro 1530 to Euro 1875 per week. Distance to the village of Ambra: 900m. 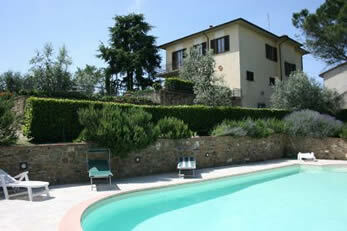 Villa Cristiana, 8km from Acquapendente with 9 hole golf course. 4 bedrooms, 4 bathrooms. Sleeps 8. 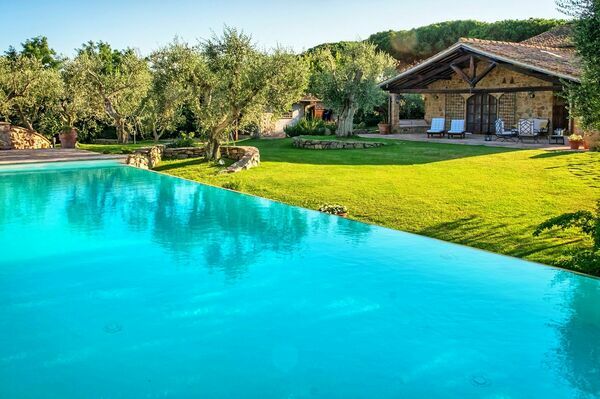 Independent villa with private pool. Portico with sofas, table and chairs. Barbecue. Free wi-fi. Cot on request, free of charge. Chef service available. rental prices from Euro 868 – Euro 3073 per week. Photo Gallery. Availability. Casa Clanis, Foiano della Chiana, Tuscany. 3 bedrooms, 3 bathrooms. Sleeps up to 8. Rental prices from Euro 860 to Euro 1580 per week. Private pool, internet access, table football. La Casa di Peter, Stia, Tuscany. 3 bedrooms, 2 bathrooms.Sleeps up to 8. Rental prices from Euro 820 – Euro 1550 per week. 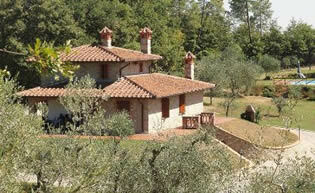 Private pool, barbecue, wood-burning oven, table-tennisand a children play area. Satellite TV, DVD and CD player. La Casetta nel Bosco, Sinalunga, Tuscany. 3 bedrooms, 3 bathrooms. Sleeps up to 8. Rental prices from Euro 990 to Euro 1920 per week. The villa is divided into 2 separate units with independent entrances. Ideal for friends who wish to holiday together but still maintain some privacy. Private pool. Wi-fi internet access. Satellite TV. Podere della Crocchia, Ciggiano, Tuscany. 3 bedrooms. 2 bathrooms. Sleeps up to 8. Rental prices from Euro 970 to Euro 2140 per week. Private pool, table tennis, bikes. San Lorenzo, Monte san Savino, Tuscany. 3 bedrooms. 2 bathrooms. Sleeps up to 8. Rental prices from Euro 950 to Euro 1990 per week. Private pool, table tennis, bowling alley. La Pietraia Castiglion Fiorentino, Tuscany. 3 bedrooms. 3 bathrooms. Sleeps up to 8. Rental prices from Euro 870 to Euro 1290 per week. Private pool. Villa Susanna near Castiglion del Lago, Umbria. 3 bedrooms. 2 throoms. Sleeps up to 8. Rental prices from Euro 800 to Euro 1700 per week. Private pool. On the estate: children’s play area, table tennis, bikes. Villa Aba near Castiglion del Lago, Umbria. 3 bedrooms. 4 bathrooms. Sleeps up to 8. Rental prices from Euro 800 to Euro 1800 per week. Private pool. On the estate: children’s play area, table tennis, bikes. Villa Marty near Castiglion del Lago, Umbria. 3 bedrooms. 3 bathrooms. Sleeps up to 8. Rental prices from Euro 930 to Euro 1890 per week. Private pool. On the estate: children’s play area, table tennis, bikes. 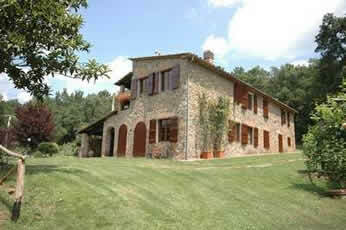 Fontanini, 18km from Monticiano (very isolated location), Tuscany.3 bedrooms, 2 bathrooms. Sleeps 8, private pool. Rental price Euro 1170 to Euro 2048 per week. Small football pitch with volleyball net. View Availability.